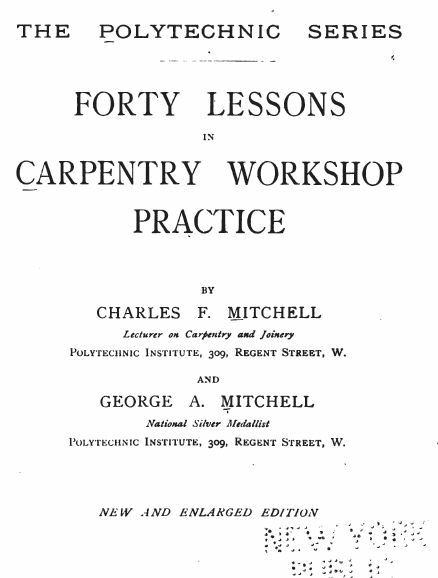 This book contains old time carpentry and woodworking lessons for shop students. These lessons have been drawn up for woodworking students who are intending to follow either the Course of Manual Training in Woodworking, as indicated in school curriculums at the time. This class will teach the use of tools employed in the craft of woodworking, and to service as a disciplinary educational course in training the hand and eye to accuracy. Great for all woodworkers, young and old.